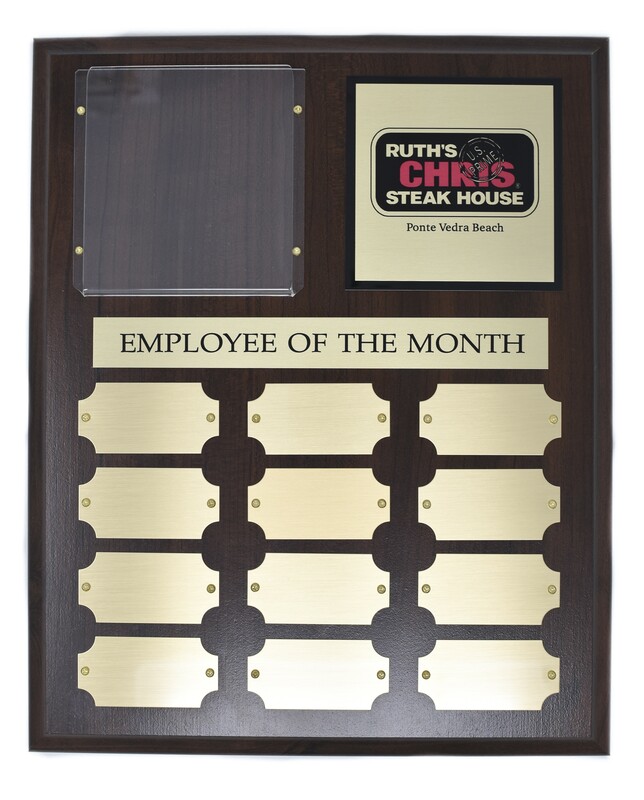 Our perpetual plaques are available in multiple wood finishes and available with or without photo holder. Each faceplate and backer place can be made of a variety of metals including finishes of gold, brushed nickel, and more. The names, titles and logo can be sublimated in full color for a clear, clean look. More finished available upon request.